Pastor: Rev. Maurice Hayes, O.F.M. Conv. 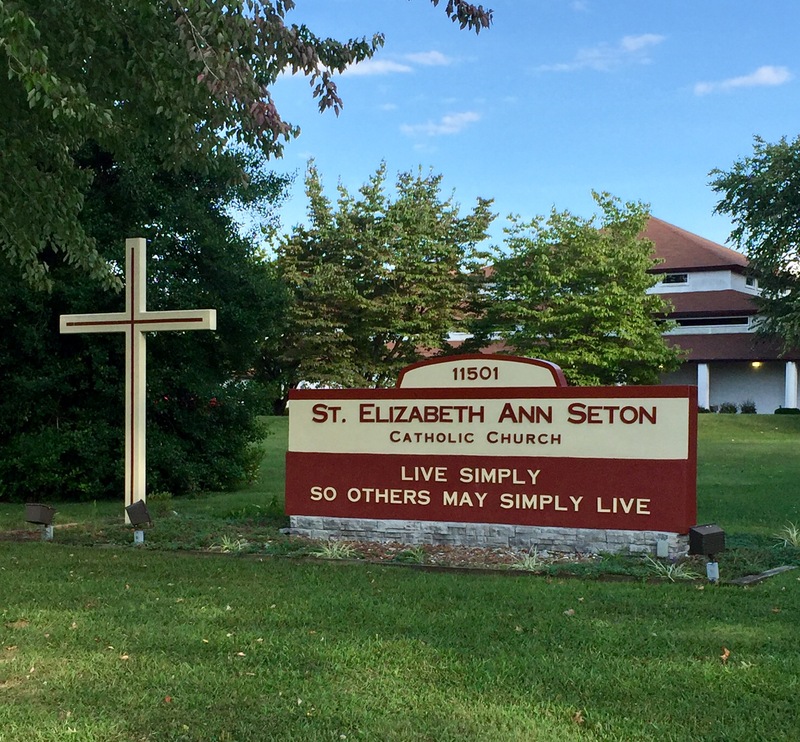 Daily — Mon-Thurs, First Fri: 8:30 a.m.
St. Elizabeth Ann Seton Parish was formed in 1975 when Father Joseph M. Fowler began ministering to parishioners in the southern section of St. Rita’s territory. In 1976, the new parish was established and named for the first American-born saint, canonized the previous year. Father Fowler was the first pastor. Built through hard work and strong community spirit, a multi-purpose building for worship and parish activities was dedicated in July 1977. The debt was paid off in 1989. For fundraisers, Father Fowler rented a building, which became known as Seton Bingo Hall. Religious education classes were also held there. Through bingo, parishioners raised funds to put their children through neighboring Catholic schools. After the roof caved in twice—1994 and 2004—the hall was closed. A commitment to lifelong Catholic formation and education was already evident in catechetical programs held at St. Rita. A new facility was envisioned in 1993 to provide better space for religious education, offices, receptions, and other activities and to protect the sacred space of the church. It was dedicated in 2003, after the parish made a commitment to stewardship in all areas of its life. Lay leadership has characterized activities from religious education to mission trips home and abroad to spiritual and social enrichment. The long tenures of Sister Alice Casper, SCN, pastoral associate, and of Deacon James Olrich have provided continuity. A growth spurt early in the third millennium came from a new housing development nearby. The parish is known for its warm and welcoming Sunday liturgies. A regular Sunday collection helps families in need of rent, utilities, food, medicine, or clothing and reflects the parishioners’ longtime concern for those in need. Today, almost 1,000 parishioners are learning together to answer God’s call and be better stewards of God’s gifts.